One carries a chequered track-record of some laughable felony, while the other comes from a Shia-dominated pocket with least sway over Srinagar. Another is a businessman-turned-politician, following the footprints of his brother. 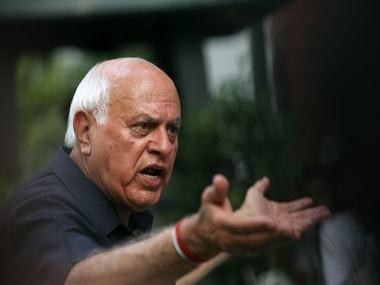 In the upcoming Lok Sabha election from the Srinagar constituency, all these political rookies are up against Kashmir's veteran politician and National Conference patron Farooq Abdullah. Bharatiya Janta Party has fielded Khalid Jahangir, Peoples Democratic Party has picked Agha Mohsin and while Peoples Conference has fielded Irfan Ansari against Farooq. In this presumably one-sided contest, Farooq is being predicted as a clear winner. The drab contest devoid of some serious competition, however, has made the Srinagar parliamentary poll a least talked about affair this time. Unlike the previous election where Farooq faced his first defeat in his 42-year-long career at the hands of Tariq Hameed Karra, who was then part of the Peoples Democratic Party, the upcoming contest looks like a walk in a park for Farooq. He goes around these days seeking votes while exhorting voters to turn to religion "for some inner solace". Otherwise known for his tongue-in-cheek comments, Farooq's preacher avatar has so far played well to galleries. "The very nature of this contest makes one believe that Farooq has already booked another Parliamentary berth for himself," says Humayun Nazir, a political commentator from Srinagar. "And since National Conference's ally Congress has decided against fielding any candidate from Srinagar, that further makes this about him alone." 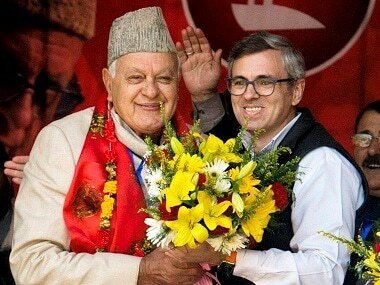 Farooq is current Member Parliament from Srinagar — the seat he won in 2017 by-election after Karra's anti-PDP crusade created the political void. In an election which was massively boycotted and saw bloodied protests, the National Conference president won by small votes. And now, amid heightened tensions in the Valley following controversial decisions by the Centre (latest being the partial highway closure for civilians), Farooq is only living up to his mercurial reputation. 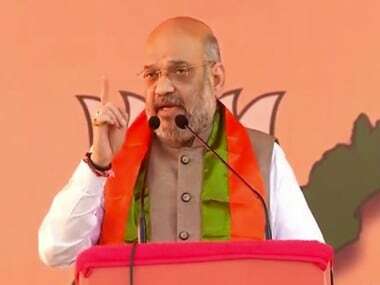 He blatantly termed the Pulwama terror attack of 14 February as ‘kaarnama’ of Prime Minister Narendra Modi, protested against highway ban and threw his weight behind the state's demand for special status. His opposition, on the other hand, looks comparatively weaker, barring BJP's Khalid Jahangir. Jahangir recently raked up a controversy by floating ‘green campaign’ advertisement in local dailies and billboards. Instead of picking saffron colour, Jahangir chose the largely-presumed colour of separatism in the Valley — green. Jahangir also went Kashmir’s Chrar-e-Shrief town to seek blessings of the saint Noor Din Reshi, who, interestingly, had predicted the advent of such controversial characters in his mystic writings a few centuries ago. Jahangir first came to the public prominence when his selfie with Modi during the prime minister's Srinagar rally went viral on social media. BJP cadre has often presented him as someone who has 'shades of the prime minister'. PDP's Agha Mohsin is considered Farooq's main contender for Srinagar seat. In 2014, the Shia leader contested the Lok Sabha election from Srinagar as an Independent. Out of 3.12 lakh votes polled, Mohsin bagged 16,000 votes. After filing his nomination papers recently, Mohsin tweeted: "Thank you @MehboobaMufti & @jkpdp for putting your trust in me and giving me an opportunity to serve the people of the state. Insha Allah, we will come as winners." Irfan Ansari of Peoples Conference is the younger brother of former PDP minister Imran Raza Ansari. Last year, following the crashing of PDP-BJP alliance in the state, the two brothers, along with their uncle, joined Sajad Lone's Peoples Conference. 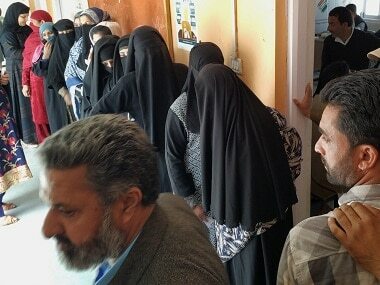 Lone, the dark horse of Kashmir politics, is confident of winning from Srinagar. He made inroads in the constituency with last year's municipal elections when his party man Junaid Matoo became mayor of Srinagar. 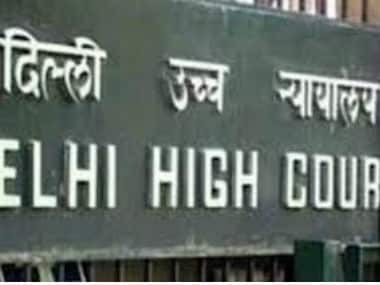 Spread over three districts of Srinagar, Budgam and Ganderbal, the polling for Srinagar Lok Sabha will be held on 18 April in the second phase of Lok Sabha election. It has 12,90,318 voters who will cast their votes at 1,716 polling stations which are likely to be set up in the constituency. But so far, the National Conference has maintained its firm grip on the Srinagar seat, which is considered their stronghold. It was Kashmir's former deputy Prime Minister and National Conference leader Bakshi Ghulam Mohammad who first became an MP from Srinagar in 1967. In 1971, a popular Kashmiri journalist Shamim Ahmad Shamim won as an Independent candidate from the same seat. National Conference retained the seat, for the next four elections — Begum Akbar Jehan in 1977, Farooq in 1980, Abdul Rashid Kabuli in 1984 and Mohammad Shafi Bhat in 1989. When "democracy returned to the Valley" in 1996 after a long pause due to a raging insurgency, it was Congress leader Ghulam Mohammad Mir Magami who won the seat. National Conference leader Omar Abdullah won it thrice after that — 1998 (bypolls), 1999 and 2004 — before his father Farooq won it in 2009. In 2014, Tariq H Karra won it for PDP. Abdullah retained in 2017 bypoll.